The Family Services efforts at the Clintonville-Beech-wold Community Resources Center focus on a range of programs and special efforts for local families and individuals. From its Choice Food Pantry to counseling to health services and more, the agency attempts to meet neighbors’ needs and help them on the road to sustainability. Nearly 8,000 unique individuals were helped by the agency in 2016 — 9 percent more than the year before! The CRC provided more than 450,000 meals last year. 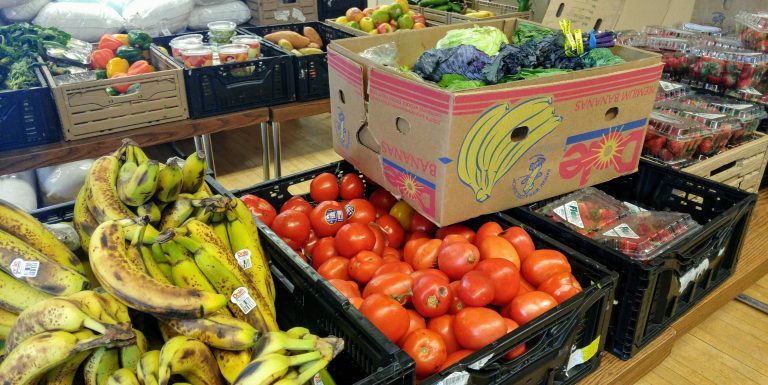 The CRC Family Services and Choice Food Pantry serves the Clintonville and surrounding communities through a choice food pantry, weekly produce distributions, community meals, access to Ohio Benefit Bank counselors, and other assistance. Thanks to grants from The Columbus Foundation/Osteopathic Heritage Foundation, Medical Mutual of Ohio, individual donors, and the work of students at The Ohio State University Department of Design and College of Education and Human Ecology (Dietetics), the CRC has completed renovations at our 14 W. Lakeview Family Services Building. In 2017, CRC served from this small building nearly 500,000 meals to 2,680 unduplicated households in 66 ZIP codes in 14 Central Ohio counties. If you'd like to volunteer at our choice food pantry or with produce distribution, please email crcvolunteers@clintonvillecrc.org. We also would be glad to accept your monetary and in-kind donations. For more information, please click here. We also welcome community groups who would like to host meetings or events at our newly renovated building. For more information, please email info@clintonvillecrc.org. Clients may shop at the choice food pantry once a month and twice a week for produce. Please bring current proof of address. The Choice Food Pantry serves zip codes: 43202, 43210, 43214, 43220, 43221, 43235. All Franklin County zip codes are welcome for Produce distribution on Wednesdays. Everyone is welcome. No proof of address is required. ​If you have any questions, please call the CRC, 614-268-3539.